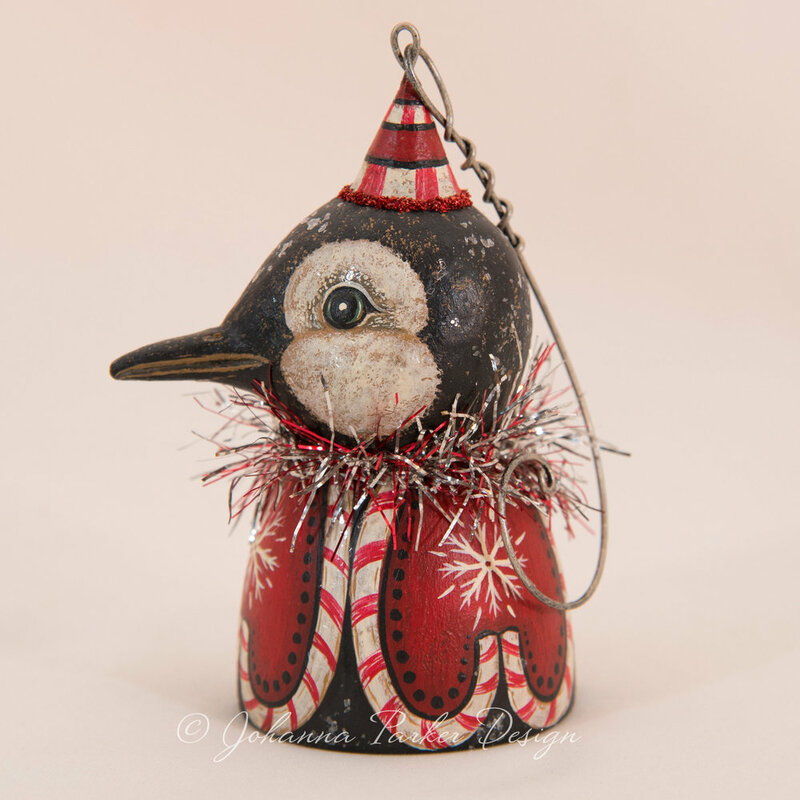 Penguin Bell Ornament - SOLD - Thank you!!! 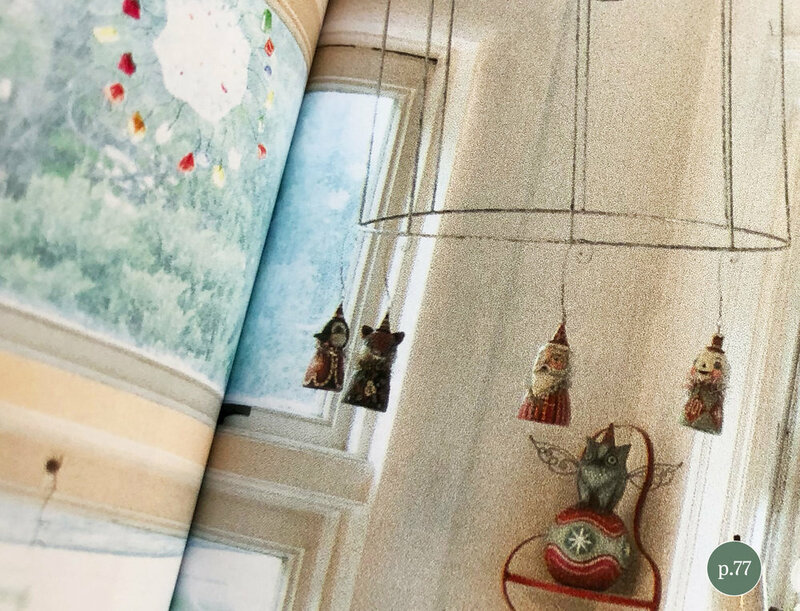 This precious penguin ornament doubles as a bell! Give him a ringing jingle! He wears a sculpted conical hat with a red glass glittered brim. An intricately sculpted beak and painted facial details bring him to life! Snowflakes, dots and candy canes adorn his bell base. 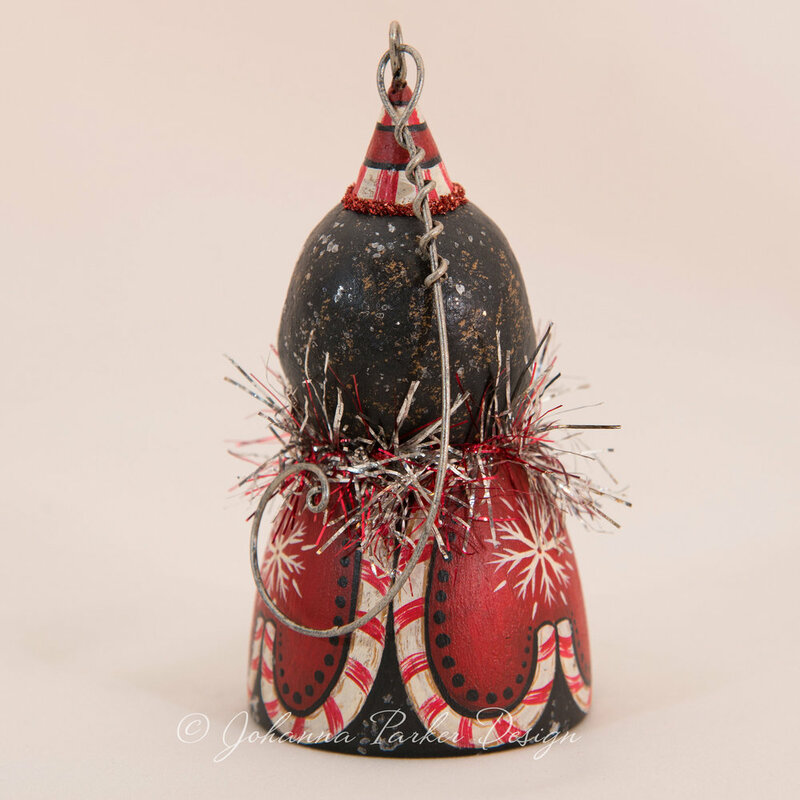 A red and silver tinsel collar give him extra glow, and he is dusted with mica for added winter shimmer! 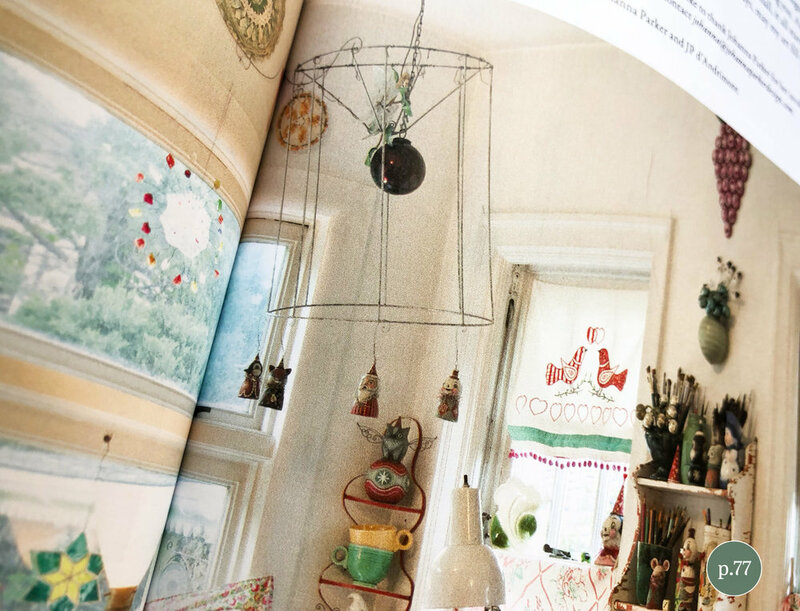 This little cutie made a couple cameo appearances in Johanna's current Where Women Create magazine article! Can you spot him? A Johanna Parker Design original!